Every day, I have to drive across the bridge to get to work and back home. Inevitably, cars are backed up for miles and I end up idling on I-74 for long periods of time. 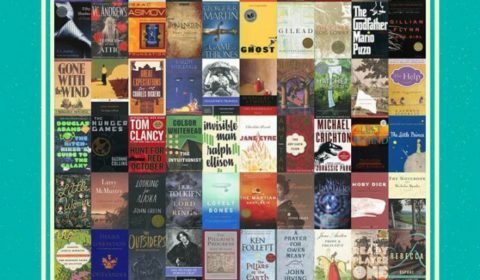 Luckily, I always have an audiobook in my glove compartment for just such an occasion, and the ones that I come back to most often are the Harry Potter series, written by J.K. Rowling. 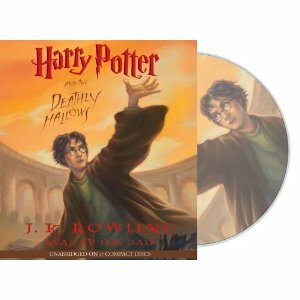 My personal favorite of the audio series is Harry Potter and the Deathly Hallows. 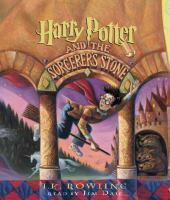 For an audiobook, the most important thing to have is a good narrator, and Jim Dale is one of the best. He has won countless awards for his vocal portrayals of Harry, Hermione, Ron, and the rest of the Hogwarts gang. Even if this is your fifth time hearing the story, Dale manages to evoke such excitement into his presentation of the text that it feels like a whole new experience. You feel as though you are there at Hogwarts carrying on a conversation with your fellow Gryffindors. 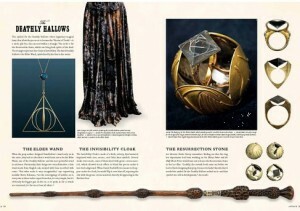 My favorite to listen to has to be Harry Potter and the Deathly Hallows. Jim Dale gets everything right, from the light moments to the dramatic. I have found myself more than once having to pause the CD so that I wouldn’t be driving and crying over the climactic battle scenes at the same time. I highly recommend this series, or any other audiobook read by the fantastic Jim Dale. Wuthering Heights is all the rage right now due a certain saga of Vampire novels giving numerous nods in Emily Brontë’s direction. 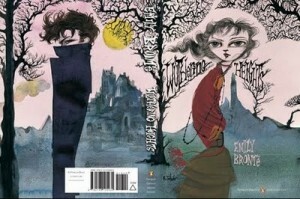 And if that wasn’t enough make this classic fly off the shelves, Penguin Deluxe Classics just reissued a new edition of the book featuring a FANTASTIC cover design by fashion illustrator, Ruben Toledo, where Heathcliff is looking particularly handsome and Edward-ish. One of the most popular trends in publishing right now is the graphic-novelfying of both old and new classics. 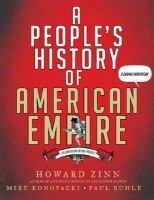 A People’s History of American Empire: a Graphic Adaptation by Howard Zinn is a great choice for those High School Graduates heading off into the heat of a liberal arts college’s world of discussion and debate. Nothing gets more classic than a Superhero story of Good vs. Evil. 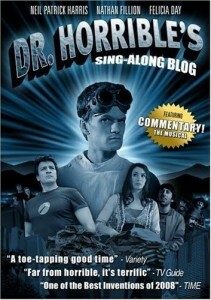 Dr. Horrible’s Sing-Along Blog is a 3-part musical starring Neil Patrick Harris, Felicia Day and Nathan Fillion was produced by cult hero Joss Whedon and originally released online. 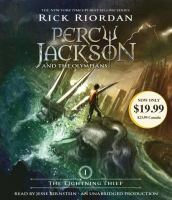 Can a classic story get any more updated than that?! It has since been released on DVD with tons of extras and is a MUST SEE for anyone who will be living in a college dorm where spontaneous, amateur performances of the show are not uncommon. 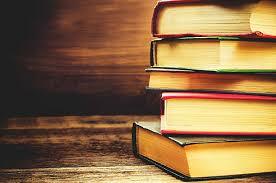 Your graduate has read the books, seen the movies, and listened to Jim Dale’s narration over and over again. But have they rocked out to Harry and the Potters yet? You cannot know the depths of your love for HP until you have sung “Save Ginny Weasley” at the top of your lungs with a hundred other fanboys and fangirls. Don’t believe me that Wizard Rock is one of the awesomest things right now? 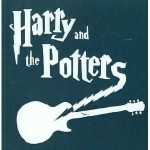 Come see Harry and the Potters at the Eastern Grand Opening on July 10, 2010! 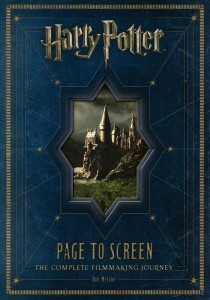 With the recent movie release of Harry Potter and the Half-Blood Prince, fans who are still hungry for more may want to consider some of the supplementary materials that have been inspired by this popular series. Finally, your study is never truly complete until you read at least one biography of J. K. Rowling. Her rags to riches story is a treat for any aspiring author, struggling or not. Now a multi-millionare, when Rowling first started writing she was living on public assistance in an apartment without heat. Plus, she didn’t even have enough money to photocopy her book before submitting it to a publisher. 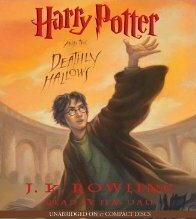 There are biographies available in both the adult and children’s sections, but one easy read is Meet J.K. Rowling by S. Ward. What better way to celebrate her birthday (and of course, Harry’s) come July 31st? Since Harry Potter and the Deathly Hallows, the final installment in the seven-part Harry Potter series, was released two years ago this summer, I have been receiving the same question over and over again by those who know I am a Potterhead: “Sooo what will you do now that Harry Potter is over?” And my answer usually is: “Well, the same things that Star Trek fans do.” For a more descriptive answer, I recommend they read Harry, A History: The True Story of a Boy Wizard, His Fans, and Life Inside the Harry Potter Phenomenon by Melissa Anelli. In Harry, A History, Anelli shares her experiences of how the Harry Potter fandom was born from her “front row seat” as Webmistress of the beloved Harry Potter news site The Leaky Cauldron. 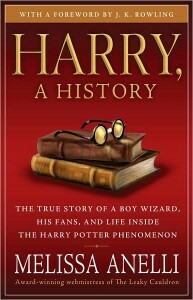 Over the years, Anelli’s work as a top fan journalist has resulted in her development of friendships with the key Harry Potter insiders including publishers, editors, musicians, actors, and even the grand authoress herself, J.K. Rowling, who gave Anelli an exclusive interview for the book. Anelli gives new insight into how Harry Potter was created and published, but most of the book focuses on how Harry Potter fans developed their community online, and thus, has played a significant role in the evolution of global commerce and intellectual property rights on the web. 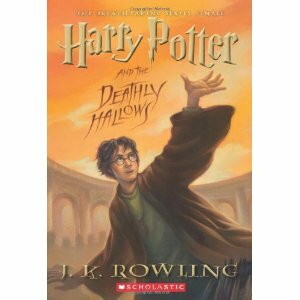 As a die-hard fan, I was already familiar with “potterwar,” the fan-organized boycott against Warner Brothers in response to their attack on Harry Potter fansites, but I was fascinated by the section on how the organized worldwide releases of the later Harry Potter books were due to Americans buying Harry Potter and the Chamber of Secrets, the second book in the series, from amazon.uk (which displeased both amazon and the U.S. publishers) before it’s release in the United States. Anelli does a wonderful job speaking to a variety of audiences and Harry, A History will appeal to both long-time and new Harry Potter fans alike, in addition to those interested in contemporary culture and the digital generation. If you are interested in the history of Harry Potter and the Harry Potter fandom, you may also want to check out We are Wizards–a documentary focusing on several fans including Anelli. The film is currently viewable for free on hulu.com. Beware, this film does contain adult content.